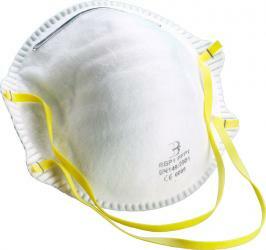 - Collapse resistant double shell construction made to withstand hot and humid conditions. - Latex free synthetic rubber head strap. - Soft nose foam and adjustable nosepiece ensure custom shape and increase the worker comfort and acceptance.